Magic Valley Electric Cooperative is proud to be part of Touchstone Energy a national network of electric cooperatives across 46 states that provides resources and leverages partnerships to help member cooperatives and their employees better engage and serve their members. 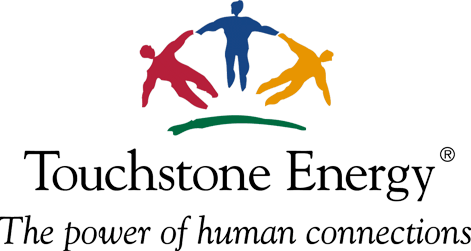 By working together, Touchstone Energy cooperatives stand as a source of power and information to their 32 million member-owners every day. Magic Valley Electric Cooperative is a member of the National Rural Electric Cooperative Association (NRECA). The national service organization is dedicated to representing the national interests of cooperative electric utilities and the consumers they serve. Magic Valley Electric Cooperative is also a member of the Texas Electric Cooperatives (TEC). TEC is a statewide organization dedicated to representing the interests of cooperative electric utilities in Texas and the member-consumers they serve.